It's about time to Spring it On! That means the city, Business Improvement District and many independent organizations get crazy busy with events that get locals moving again and attract out-of-towners and their wallets to downtown.Spring it On! is an umbrella promotion produced and funded by the city and BID. It promotes multiple events (more than 30) during a specific period (month of May) under an attention-grabbing theme. The theory is that "more is more." When 30 or more activities are promoted together, the quantity and diversity are impressive. And events get more attention than if they simply promoted themselves individually. The concept does work. It's easy to put the entire schedule of events on the refrigerator door and then plan accordingly. There are several places to access the Spring it On! listing of May events. Bright yellow posters will be in downtown windows. Three Web sites feature the promotions as well: The BID Web site at www. DowntownDurango.org, the city Web site at www.Durangogov.org and at www.DurangoDowntown.com. Also, the complete listing will be in Thursday edition of the Herald for the next four weeks. This weekend's featured events will be: The third annual Durango Wine Experience starting Thursday and running through Saturday. On Friday, celebrate the start of the summer train season at the annual Narrow Gauge Day (free lunch and entertainment) at the train station, and Saturday enjoy Cinco de Mayo family fiesta at Buckley Park. Two popular events coming up are Gallery Night on May 8, and the Durango Garden Club plant sale May 9 at Christ the King Lutheran Church parking lot. Opening in May for the season are the Saturday Farmers Market at First National Bank of Durango on May 9 and the Sunday Durango Flea Market at the La Plata County Fairgrounds. Here's the best part. There is no experience necessary. These are all great events with strong ties to the character of our community. They spotlight regional wine making, locally grown and produced farm products and garden plants. The other events (train, Cinco de Mayo and galleries) honor our local heritage. These also are all people-orientated social events where friends meet, families gather and everyone is welcome. If you're in town, new to town or still in town, come and enjoy our community at its best. 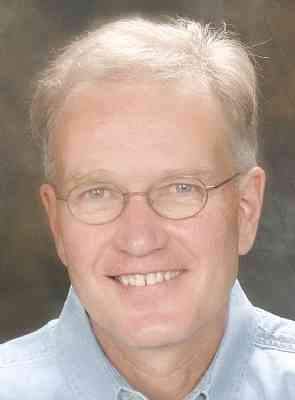 Bob Kunkel is special events and business coordinator for Durango's Central Business District.